The Sedona International Film Festival is proud to partner with the Dead Poets Society (student poetry group) from Sedona Red Rock High School to present the encore of the multiple award-winning film “Dead Poets Society” on Friday, Dec. 7. There will be one show at 7 p.m. at the Mary D. Fisher Theatre. The ticket price is a donation of $7 with proceeds to benefit the Dead Poets Society and help them publish a book of student poetry. 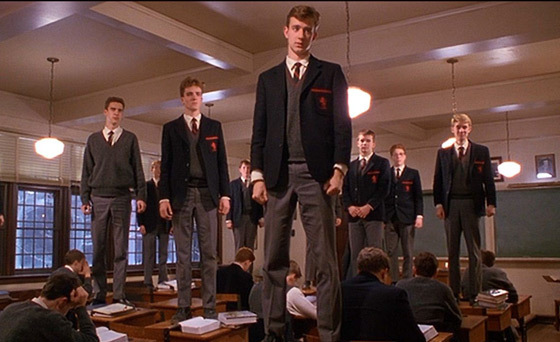 “Dead Poets Society” — which will be celebrating its 30th anniversary next year — was nominated for four Academy Awards, including Best Picture, Best Actor (Robin Williams) and Best Director (Peter Weir). It won the Oscar for Best Screenplay (Tom Schulman). It was also nominated for four Golden Globe Awards in the same categories. 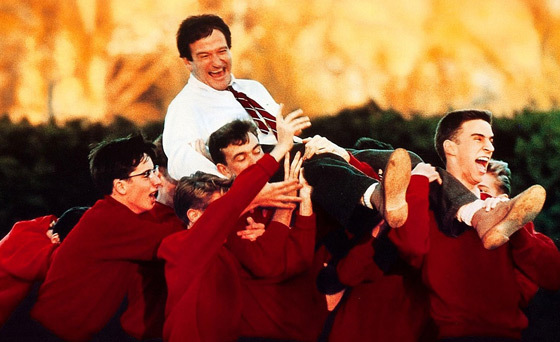 Set in 1959 at the fictional elite conservative Vermont boarding school Welton Academy, “Dead Poets Society” tells the story of an English teacher who inspires his students through his teaching of poetry. The Welton Academy is a staid but well-respected prep school where education is a pragmatic and rather dull affair. Several of the students, however, have their thoughts on the learning process (and life itself) changed when a new teacher comes to the school. 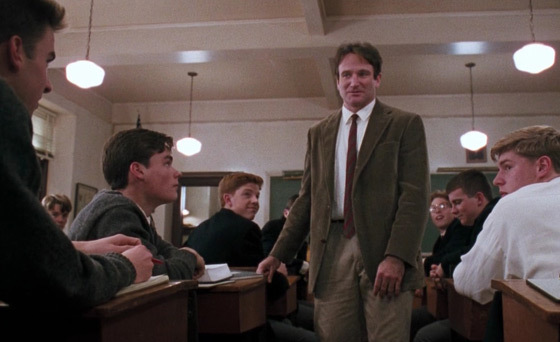 John Keating (Robin Williams) is an unconventional educator who tears chapters of his textbooks and asks his students to stand on their desks to see the world from a new angle. Keating introduces his students to poetry, and his free-thinking attitude and the liberating philosophies of the authors he introduces to his class have a profound effect on his students, especially Todd (Ethan Hawke), who would like to be a writer; Neil ( Robert Sean Leonard), who dreams of being an actor, despite the objections of his father; Knox (Josh Charles), a hopeless romantic; Steven (Allelon Ruggiero), an intellectual who learns to use his heart as well as his head; Charlie (Gale Hansen), who begins to lose his blasé attitude; unconventional Gerard (James Waterston); and practical Richard (Dylan Kussman). Keating urges his students to seize the day and live their lives boldly; but when this philosophy leads to an unexpected tragedy, headmaster Mr. Nolan (Norman Lloyd) fires Keating, and his students leap to his defense. Enjoy an evening of film and poetry while supporting the students in the Dead Poets Society at Sedona Red Rock High School.